Save money on healthy eating with Thrive Market! In this honest review of Thrive Market, we share a shopping list of our favorite best buys for pantry staples, healthy snacks, better-for-you treats, bath & body and eco-friendly home finds. Let’s be honest–eating healthy can be expensive. There’s no way around it, even if you support it–fresh, organic produce and pasture-raised/grass-fed/wild-caught meats and seafood just cost more money than their conventional counterparts. Don’t get me wrong–it is worth it. You are worth it, your health is worth it, the planet is worth it. But it’s expensive. Not to mention, there’s lots of odd and esoteric ingredients that are required to make things like superfood smoothies or gluten-free snacks or Paleo-friendly protein bars or even just natural sweeteners. Coconut sugar and acai berries, maca powder and pure coconut milk, castile soap and avocado oil. And that’s before you even get to personal care items, like non-toxic shampoo and body wash, safe and gentle moisturizer and effective, yet natural deodorant. It’s a lot. Which is why I was so thrilled when I learned about Thrive Market, an online retailer selling healthy foods at wholesale prices. I was skeptical at first–being the deal Queen that I am, I figured the prices were probably not that much cheaper. But over many months, I compared the prices at Thrive to mainstream grocery stores and retailers, Amazon and even Instacart and I’ve found that overall, most items are several dollars less at Thrive. Which may not sound like much, but adds up to A LOT OF SAVINGS! If you bought just those products listed above, you would save over $35 dollars (about 37% off)! There is an annual membership fee of $59.95–think of Thrive like a healthy, digital Costco membership–but after a couple of orders, you’ll likely have out-saved the cost of the membership. Plus, right now they’re offering an extra 25% off your first order when you sign up using this link, so you can almost make up the price of the membership immediately with your first order. You’ll also get free shipping over $49+ orders and a free 30-day trial (available to new shoppers only). Not convinced you’ll make back the cost of the membership? Plus, they’re always throwing in a free gift of some kind, be it classic favorites or new products. As of September 2018, Thrive actually now lets you choose from a variety of free gifts with every purchase! Once I got a free jar of organic coconut oil. Once it was a free Kombucha starter kit, a jar of EPIC’s new duck fat, Justin’s almond butter, and almost every time I go to place an order I have a coupon code for 10-25% off my entire order. So there’s even more value than just the discounted prices, and that’s before you consider that orders over $49 come with free shipping. 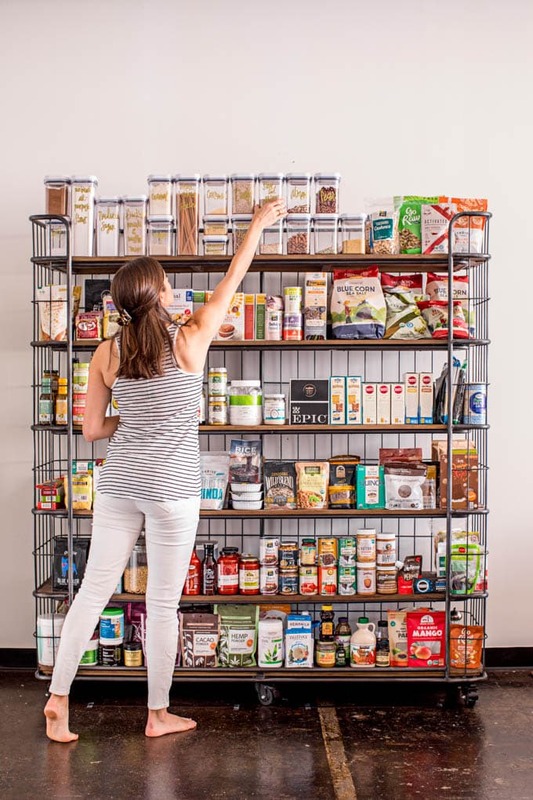 All of this to say that I strongly recommend signing up for a free trial with Thrive and stocking your pantry with healthy, wholesome staples–you’ll save money, support companies employing sustainable practices and have a highly nourishing kitchen (and bathroom and medicine cabinet). Sign up now to get a 25% off your first order when you sign up using this link! If you’ve taken a look around Thrive’s site, you may be feeling a bit overwhelmed (or you may already have hundreds of dollars worth of products in your cart). If you’re not sure where to begin, check out their Starter Kits, which focus on specific diets or themes and allow you to sample their relevant best-sellers. They’ve also recently launched their own line of staples, from spices and nuts to superfoods and sauces. To help you get started (or to compare notes if you’re already as addicted to Thrive as I am), I thought it would be fun to share some of my favorite items that I buy again and again from Thrive. Organic Virgin Coconut Oil: Nutiva or Thrive Market brands are both pure, organic, virgin, cold-pressed, and multi-purpose for cooking, personal care and more! Chosen Foods Avocado Oil Spray: Having no additives, chemicals or propellants in a spray is hard to find, which is why I love Chosen Foods 100% Cold Pressed Avocado Oil spray even more! You can spray directly on your pots, pans, grills and even food. Red Boat Fish Sauce: The holy grail of fish sauce available in the U.S.
San-J Organic Tamari: Gluten free and organic, this is the best soy sauce alternative! Bob’s Red Mill Gluten-Free Flours, Grains and Starches: Great source for gluten-free flours that can be difficult to find at mainstream grocers. Primal Kitchen Salad Dressings: The only pre-made salad dressing I use–it’s made with real-food-only ingredients and has no bad-for-you additives. My fav is their Honey Mustard Vinaigrette with Avocado Oil – it’s a perfect combo of tangy and sweet. Simply Organic Spices and Extracts: One of the best resources for affordable, organic spices with a wide variety. Numi Organic and Fair Trade Certified Teas: One of my favorite line of tea that’s made purely from organic tea leaves and no harmful chemicals like many other brands use. Traditional Medicinals Teas: This tea company uses trained herbalists + high quality pharmacopoeial grade herbs to come up with delicious blends that can help reduce ailments (like cough, sore throat or constipation) and support overall wellness. Thrive Market Culinary Matcha / Matcha Powder: A green tea filled with antioxidants and health benefits, you can either bake or cook with the culinary matcha or simply dissolve the powder to make tea. Native Forest Organic Coconut Milk: One of the cleanest coconut milks on the market, in BPA-free cans. Primal Kitchen Avocado Oil Mayo: The only mayo I’ve found that’s not made with harmful hydrogenated oils. Bragg Organic Apple Cider Vinegar: A cure-all for literally any ailment, this is the gold standard of organic, raw, unfiltered ACV. Amy Organic’s Beans & Soups: Amy’s Kitchen is known for their healthy, organic packaged foods. No chemical additives or pesticides, artificial colors or flavors, no preservatives, GMO-free and BPA-free. Safe Catch Canned Tuna: Meticulously tested to deliver the lowest mercury tuna of any brand! Sustainably caught, hand cut and hand packed to retain all nutrients and Omega 3s. Additive-, filler-, and BPA-free. Wild Planet Canned Seafood: Sustainably caught and fresh tasting canned tuna, salmon, sardines and white anchovies. Additive-, filler-, and BPA-free. Manitoba Harvest Hemp Hearts: One of the most protein-rich sources of plant protein, these nutty seeds can be sprinkled to anything or added to smoothies for a nutrition boost. Canned Pumpkin: Stock up on delicious canned pumpkin for all your pumpkin needs! Bionaturae Organic Tomato Paste: A concentrated paste that you can trust to add flavor without any negative additives. Pasta Sauces: Thrive Market Organic and Yellow Barn Biodynamic brands are my favorites for affordable and delicious organic sauces. Thrive Market Organic Diced Tomatoes: Hand-sorted for freshness, you can taste the difference in these organic diced tomatoes, convenient for making your own soups, sauces and stews. Sir Kensington’s Mustards: A go-to brand for cleaner condiments with less sugar, I love their Spicy Brown Mustard and Dijon Mustard. Thrive Market Organic, Raw Nuts: If you’re snacking on nuts, the healthiest kind are raw and organic, and Thrive Market’s brand offers great prices on all types of varieties. Thrive Market Organic Shredded Coconut: Made from fresh coconuts that are shredded, rinsed in filtered water, and slowly dried to perfection without any added oils, sugar, or preservatives. Bob’s Red Mill Cornstarch: A gluten free thickener, this is just 100% natural cornstarch–nothing else added. Superfoods + Adaptogens: So many fun powders and potions on Thrive. I recommend Navitas Naturals Superfoods, Thrive Market Organic Cacao Powder, Four Sigmatic Medicinal Mushroom Drinks and Sun Potions adaptogens like Ashwagandha, Chaga, Reishi, and Moringa. Organic Nut Butters: Thrive Market Organic Nut Butters: Thrive has their own organic brand of nut butters including peanut (creamy + crunchy), sunflower, almond (creamy + crunchy), cashew and tahini. I also love Artisana Organics nut butters and travel packs, including coconut butter and raw walnut and pecan butters with cashews, and YumButter‘s superfood nut butters (with added ingredients like chia and goji berries), and NuttZo (organic, super flavorful, gourmet 7 nut + seed butters in a variety of flavors). Healthy Rice + Quinoa: Again, Thrive has so many great options here, like Lundberg Farms 100% whole grain, organic rice, Thrive Organic sprouted brown rice and sprouted quinoa, truRoots Organic sprouted quinoa, mung beans and lentils, Lotus Foods organic ramen and Heat and Eat heirloom rice bowls (BPA free) and Seeds of Change Organic Microwaveable Rice. Gluten Free Pastas Brands: There are so many great GF pastas on Thrive, but some of my favorites include Jovial (their Brown Rice Pastas are made from 100% organic Italian whole grains), Explore Cuisine (vegan, gluten-free, vegan and organic whole grain pastas with unique varieties like black bean spaghetti and green lentil lasagne), Banza (made from non-GMO chickpeas with four times the fiber, double the protein, and nearly half the carbs of traditional pasta), Ancient Harvest (their corn and quinoa pastas are the most similar in texture and taste to traditional wheat pasts, and their line of POW! pastas have up to 25 grams of protein per serving!) and Tolerant (an organic, allergen-free lentil pasta gives a full serving of vegetables along with lots of fiber and protein). Organic Seaweed: SeaSnax Organic Roasted Seaweed + gimMe Organic Seaweed are both roasted with heart-healthy olive oil. Jackson’s Honest Chips: My favorite line of potato chips and corn chips, made with coconut oil instead of harmful oils and super crunchy. Organic Dried Fruit: Mavuno Harvest Tropical Fruit Mix and Thrive Market brand are awesome for when you need something sweet, but healthy on the go. Epic Chicken Sriracha Bars: My favorite protein bars, these are made with pasture-raised chicken, extra spicy and only good-for-you ingredients! I also love Epic Beef Liver Bites. Mary’s Gone Crackers Gluten-Free Crackers: The best gluten-free crackers I’ve found, these are chockfull of good-for-you seeds and whole grains, plus they’re extra crispy. Simple Mills Crackers: Made with only wholesome ingredients, these gluten-free crackers are light, crispy and come in 6 different flavors. Farmhouse Cheddar is my go-to! Dang Snacks: A variety of yummy toasted coconut snacks and sticky rice chips. Siete Chips: Super light yet crisp, melt-in-your mouth grain-free tortilla chips! Luke’s Organic Chips: Allergen-free and organic potato chips in 6 delicious flavors. Cascadian Farm Organic Cereals: A healthier version of standard boxed cereals – Raisin Bran, Cinnamon Crunch and Vanilla Chia Crunch. Lesser Evil Organic Popcorn: Organic popcorn made with coconut oil, in tons of creative and irresistible flavors. Biena Chickpea Snacks: Crunchy baked chickpea snacks, from simple sea salt chickpeas to habanero to dark chocolate covered chickpeas. Go Macro Bars: Chewy, nut-butter based organic, vegan and gluten-free nutrition bars that are made from simple, clean, macrobiotic ingredients that are sustainably sourced. Primal Kitchen Collagen Bars: Low carb, nutrient dense collagen bars (non-GMO and refined sugar free) with amazing flavors and health benefits! Simple Squares: Organic protein bars with just five simple ingredients: nuts, honey, vanilla, sea salt + spices. Purely Elizabeth Granolas: Seriously addictive crunchy granolas that are gluten-free, vegan, and non-GMO, now with added probiotic flavors (try the Chocolate Sea Salt Probiotic + Maple Walnut Probiotic!). The Essential Baking Company Organic Bake at Home Sourdough Bread: This traditional sourdough bread is made using a natural starter and only four ingredients. Justin’s Mini Dark Chocolate Peanut Butter Cups: Admittedly these aren’t the cleanest treats, but they’re way better than Reese’s and insanely delicious. Just one cup satisfies my sweet tooth at night. Paleonola Maple Pancake Grain-Free Granola: Awesome grain-free granolas for yogurts, salads, or by the handful. EatingEvolved Fair-Trade Cacao Bars: Their Vanilla Bean & Coffee Primal Chocolate is easily the best piece of chocolate I’ve ever tried! And it’s 100% guilt-free. I also love their Caramel & Sea Salt Coconut Butter Cups. Simple Mills Grain-Free Baking Mixes: Simple and short ingredient list with real foods makes for super moist and healthy baked goods. Wholesome Organic Delish Fish: Swedish Fish lover? Try this healthier, organic brand! Torie & Howard Organic Chewie Fruities: If you’re a gummies and chewies person, you’re gonna love this brand of chewies and gummies–their sour berry gummies are my favorite. Stretch Island Organic Fruit Strips: Say goodbye to toxic Fruit Roll Ups and enjoy real fruit in perfectly portable, chewy strips. Pamela’s Graham Crackers: Delicious gluten-free graham crackers made from wholesome ingredients like non-GMO butter and organic honey. Foodie Fuel Organic Snacks: Healthy grab-and-go crunchy yet chewy snacks that are gluten-free, vegan and paleo friendly. Theo Organic Dark Chocolate Bars: Fair trade, super delicious vegan chocolate bars in salted almond, orange, coconut and plain flavors. Hu Chocolate Bars: Super clean vegan and paleo chocolate bars made sweetened just with coconut sugar. Gaia Herbs Golden Milk: A satisfying, plant-based blend of turmeric, dates, and herbs – makes creating your own ‘golden milk’ or turmeric lattes a breeze! Simple Mills Cinnamon Cookies: One of my fave boxed cookies–these are clean, refined sugar-free treats perfect for most diets (vegan, paleo, gluten free). Dr. Bronner’s Organic Castile Soap: How many ways can you use Dr. Bronner’s castile soap? It’s my go-to for cleaning, from dishes to bathrooms, carpets and even my own body and hair! Primal Pit Paste Deodorant: The only natural deodorant I’ve found that works as well as traditional brands – try the Jacked Up Jasmine scent. Everyday Coconut Body Wash: Creamy, moisturizing, affordable and safe. Love this body wash! Everyday Shea Fair Trade Shea Butter Bubble Bath: A non-toxic, super yummy smelling bubble bath – I love it in lavender! Acure Organics Skincare: Their cleansing gel and facial scrub are two of my favorite safe skincare finds, plus they’re super cheap! I also love their makeup remover wipes. NOW Foods Natural Oils and Butters: I stock up on these staples, like shea butter, cocoa butter, sweet almond oil and avocado oil, so I can DIY my own skincare recipes at home. Aura Cacia Essential Oils: Awesome line of therapeutic, pure essential oils perfect for adding a natural scent to DIY beauty and cleaning projects. cocokind: An organic skincare line centered around moisturizing superfoods using only the most pure ingredients – super affordable too! EO Soaps: EveryOne soaps are sustainable, made from non-GMO plant extracts and scented with pure esential oils. Oral Essentials: Certified 100% non-toxic, this oral care brand has no alcohol, dyes, SLS, or petroleum-based glycerin – be sure to try their teeth whitening strips! Toothpaste: Jason Natural and Earthpaste brands are two of my favorite non-toxic toothpastes that are good to your teeth, mouth, and body. Heritage Store Rosewater: Use as a perfume, body splash, add to your hair rinse or bath water, or use in your fav DIY recipes. Mother Dirt: Hypo-allergenic, non-GMO skincare products with probiotics added to balance your skin’s health! All Terrain Strong Strip Bandages: Next time you need a band-aid, reach instead for these latex-free, biodegradable and 100% sterile bandages that provide heavy-duty protection without harming sensitive skin. (re)zip Reusable Zip Seal Gallon Bags: Reduce waste and save money with these food safe, PVC-free, lead-free, and BPA-free bags. Use them to replace plastic baggies normally used for snacks, sandwiches, freezing food portions, travel, home organization, and more. Amala Magic Sponge Cloth 3-pack: I use these for all-purpose cleaning–they’re so effective, eco-friendly and abrasion-resistant. They’re unbelievably strong yet flexible, are reusable and can be washed up to 300 times! Repurpose Sustainable Tableware: Feel better about using disposable products with this line of renewable products ranging from heavy duty large plates to cold cups to utensils. They’re durable, non-toxic, BPA-free, compostable and 100% made from plants, not petroleum. Seventh Generation 100% Recycled Facial Tissue: Environmentally friendly, soft, absorbent and chlorine-free facial tissue. Seventh Generation Ultra Power Plus Dishwashing Detergent Packs: Certified biobased and free of chlorine bleach, phosphates, and synthetic fragrances, this dishwashing detergent gets my dishes sparkling clean! Seventh Generation 100% Recycled Paper Towels – Unbleached: 100% recycled and free of dyes, inks, and fragrances, these paper towels work just as well as conventional paper towels and reduce your household’s impact on the environment. Stasher Clear Storage Bag: A self-sealing, airtight, non-plastic bag made of pure platinum silicone–a sustainable, smart alternative to disposable plastic baggies that’s also freezer-, dishwasher-, and microwave-safe. If You Care Food Storage: I love all of their non-toxic and environmentally friendly kitchen and home products, from the unbleached parchment baking sheets to the aluminum foil, paper sandwich bags, compostable coffee filters, baking cups and more! Pure Plant Home Coconut Wax Candle Jar: These candles are plant-derived from sustainably harvested trees–the ingredients are just coconut wax and essential oils (I especially love the lavender scent!). Molly’s Suds Laundry Powder: Comprised of only five earth-derived ingredients, Molly’s Suds is safe and just as effective as conventional brands, without the use of harsh chemicals, toxins, fillers, carcinogens, preservatives or GMO ingredients. Aunt Fannie’s Cleaning Products: Aunt Fannie’s makes a variety of food-based, non-toxic cleaning vinegars and pest solutions, guaranteeing an industrial-grade cleaning and pest experience. GrabGreen 3-in-1 Lavender with Vanilla Laundry Detergent: Get clean clothes gently without the use of chemicals like chlorine and dyes (and safe for HE machines) – GrabGreen pods were even rated better at removing stains than Tide! TWIST Scrub Sponge: The perfect multipurpose scrub sponge for your kitchen, furniture, bath and outdoor purposes that’s dye-free and doesn’t use any plastics or toxic adhesives. Stay Away Pest Control: An all-natural spider, ant and moth repellant without the harmful chemicals or gross smells – and it really works! Bee’s Wrap Assorted Sandwich Wrap: Natural, reusable, sustainable alternatives to plastic wrap–just warm the wrap in your hand, then form it over the top of a bowl or around any snack, and the wrap protects your food and holds its shape as it cools! Food Huggers: A great kitchen swap, these airtight lids fit right over your fruit and veg to keep out oxygen that could spoil them. Also great for covering cans, jars, and other small containers! What are your favorite products from Thrive? If you’re not already a member, sign up today and receive an extra 25% off your first order when you sign up using this link and start saving money on groceries today! P.S. I’m not normally one to recommend email blasts, either, but I have to say that I love Thrive’s emails. 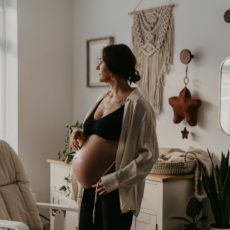 I’m always learning about new products to try and they share stories from their blog, which is chockfull of great advice about natural living. Disclaimer: This post includes affiliate links, and I will earn a commission if you purchase through these links. Please note that I’ve linked to these products purely because I recommend them and they are from companies I trust. I am a paying member of Thrive myself and am only recommending their membership because I believe it is a wonderful place to spend your hard-earned money. Omg this is awesome! I’ve been hearing about Thrive for awhile now, but balked at the membership price. The way you broke down savings was super helpful. I’m excited to order some of your recs that I haven’t tried myself yet! This is great. Will look into these. I’m fairly new to thrive. I love their stoneworks rose laundry pods, siete lime chips, andalou naturals mandarin vanilla body lotion and shower gel which I’ve been using for years, my kids (and I) love the eat your vegetables chips in sea salt, and we all love the new primal free range turkey sticks in cilantro lime. Love this info! I looked into thrive a while ago and didn’t know if it was really that much cheaper. Thanks for doing the legwork, Kate ??? ?